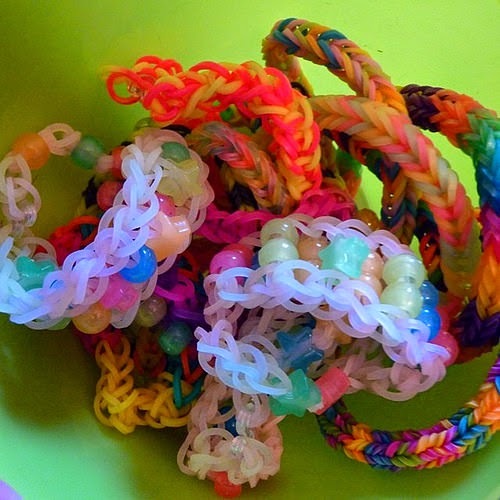 Have you ever tried to make a LOOM BAND BRACELETS? 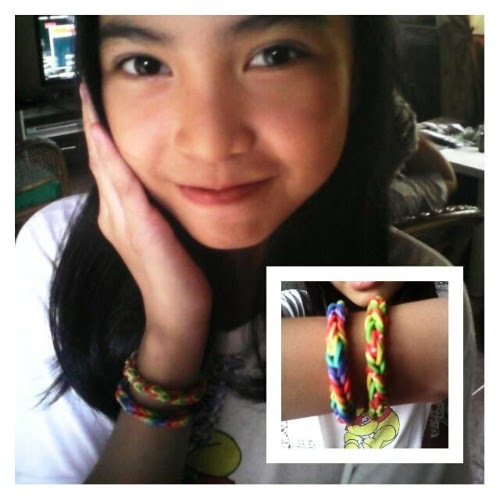 A rainbow rubber band bracelets which are very popular right now here in the Philippines. I've tried once, but I'd give up because of my hectic schedule and also I suffer headache due to an eye problem. However, as I see it many are hooked on this kind of an artwork. I can see many loom bands in the market, but you don't know how safety it is for your children's. So as a mother and wanted to teach my kids to make one for themselves, I hover my mouse and search for a loom band that will give me satisfaction guaranteed safe. 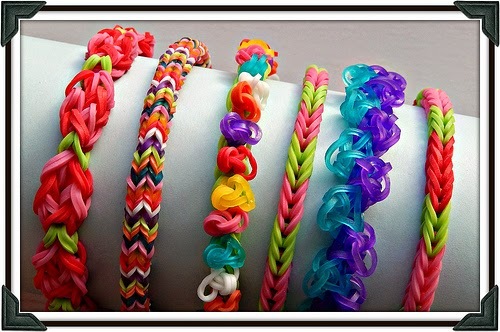 RAINBOW LOOM was invented in 2011 by CHEONG CHOON NG of Novi, Michigan. A Malaysian immigrant of a Chinese descent. When he was still working at Nissan Motor company in 2010, he conceived the idea of making a toy-loom for a rubber band crafting. His first TOY LOOM was called TWISTZ BANDZ, a wooden board that uses a pushpins and dental hooks. But when he heard that there is an elastic hair band on the market that is called Twist Band, his brother and niece came up the name RAINBOW LOOM. Rainbow Loom is a plastic pegboard measuring 2 inches(51mm)by 8 inches(200mm). It is safe to use because its FREE from PHTHLATES, LEAD, CADMIUM, CHROMIUM, MERCURY and ARSENIC and it is approved by the US TOY SAFETY STANDARDS. 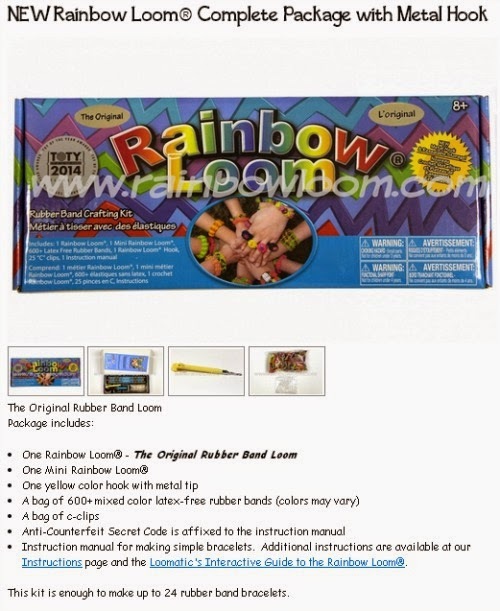 If you want to make sure that you have an Authentic Rainbow Loom products, please purchase at their website online or at their authorized retailers. Love to look at the finished product, the bracelets are so amazing to put on. The styles, the designs and colors with the tips and techniques will help elevate the skills and ideas of children in their ART WORK, and on how to make it will give you special bonding with your kids as well. 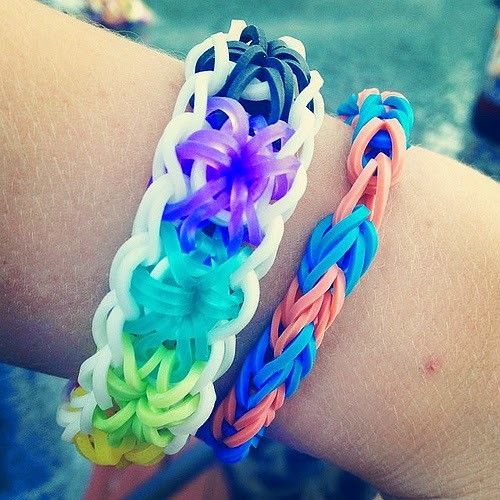 As of September 2013, Rainbow Loom had sold over 1.2 million units according to Ng. And it said to be the most search topic in GOOGLE and named as one of the three most popular toys in 2013 by CYBER MONDAY AWARDS. Wearing her loom bands given to her by a friend as a gift. 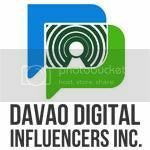 So trending with the TWEENS and the TEENS and also with the young at heart. The multicolored rubber bands are not just for the hair but also for fashion used to create wonderful bracelets, rings, necklaces, hair ornaments, anklets, and other unique crafts that everyone would love to own, be an awesome gift or to start your own business and sell your homemade LOOM BANDS. 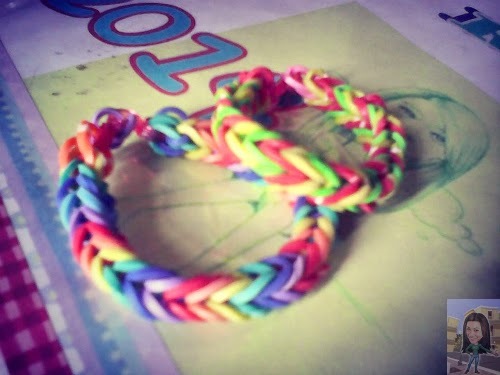 My two kids love to make loom bands, creating their own design. Thanks +MayaBogaert. Cool to do as it improves the creativity of the children but cheap Chinese loom bands are everywhere now and I guess as usual its toxic and hazardous. Precaution before buying is a must. I am a teacher, and I know how much my students are loving these right now! It's great for building coordination. Yes, really a phenomenon here in our place, all the children are crazy about it. Even adults too, are wearing the band. I tried searching tutorials in loombands and it's the kids that is teaching when it comes to the complicated designs. This is so nice!!! I want to DIY too.. I never tried making one because it seems complicated. hahahah. Loombands is now the new sensation on kids at my place. Many kids are crazy about it, even my tuition kids. It's a craze even in Singapore!